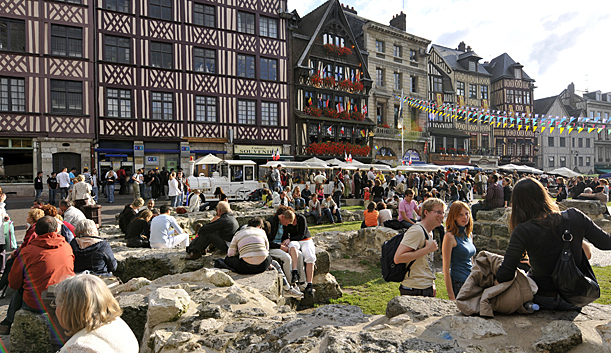 Densely packed with half-timbered houses, architectural gems and soaring spires, the medieval city centre of Rouen is a meeting point for both art and history with a flourishing cultural vibe as well as great restaurants, shopping and nightlife. 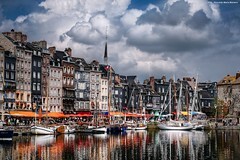 Sprawled along the banks of the river Seine and like Paris divided into Right and Left Banks, Rouen is the capital of both Upper Normandy and the Seine Maritime départment and cherishes the importance of the heritage that secures its place as a jewel in Normandy’s crown. The Right Bank is the main area for exploring the city centre and it’s where most of the monuments, as well as restaurants and accommodation can be found. The Place du Vieux Marché is a good starting point and it’s here that St Joan of Arc was burned at the stake in 1431; the public square is marked with a plaque and 20-metre high cross. 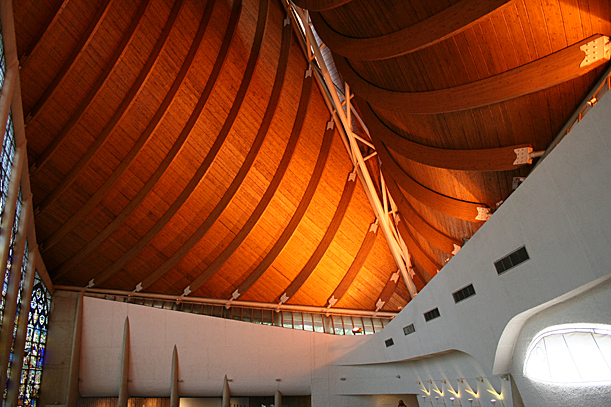 Nearby is a contemporary architectural masterpiece, the memorial church dedicated to her and whose stunning wooden-roofed interior is said to represent the flames at the stake. From the square, the cobbled Rue du Gros Horloge leads towards the soaring grandeur of Notre Dame Cathedral, immortalised by Monet in his series of over thirty paintings. 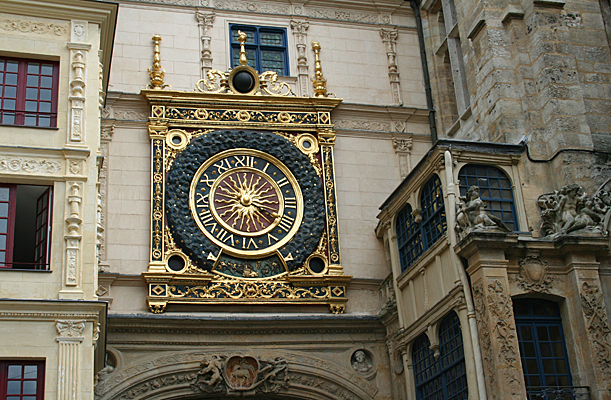 The clock (‘horloge’) which gives the street its name is a beautiful one-handed timepiece which shows the hour, the week and the phase of the moon. Climb to the top of the belfry to see its workings as well as outstanding city views. Victor Hugo allegedly called Rouen ‘a town of a hundred spires’ and while he may not necessarily have counted every one, the city certainly boasts the most classified monuments in France, with a lengthy list which includes examples of the Gothic and Renaissance masterpieces which adorn the streets. As well as the Gros Horloge and the Cathedral, take some time to admire the Parliament of Normandy Court House, the église Saint-Maclou (often noted as the most flamboyant and spectacular example of Gothic architecture in France) and by contrast the Abbey Church of St-Ouen, whose simple lines have a beauty all their own. 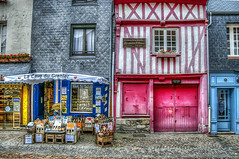 The town is also known as the capital of antique bargain hunting, centred on the Damiette-Saint-Maclou district. Antique dealers occupy the half timbered houses which huddle together and cater to every taste and budget, while ceramicists, art gallery owners and bookbinders along with many other craftsmen open their doors to the public. Look out for ‘faience de Rouen’ decorative tin-glazed ceramic ware as well as ‘les coffret de Rouen’ small hand-painted wooden boxes for truly artisanal holiday mementoes. Near rue Damiette and St-Ouen Church take a detour to the charming Rue Eau de Robec, where a small stream is crossed by a number of footbridges, recalling the era when wealthy cloth merchants lived in the area. Some of the timbered houses have attic workshops where skeins of cotton as well as fabric would be left out to dry. 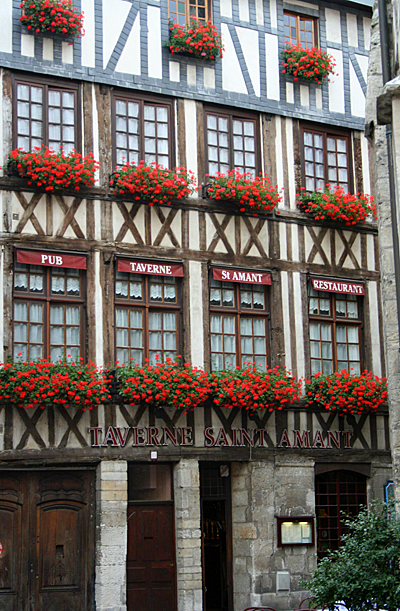 Rouen’s timbered houses and cobbled streets are lit with the particular quality of natural light which has fascinated painters and attracted writers to the town. It was in Normandy that Impressionism was born and Monet, Renoir and Sisley were among those who were fascinated by the discovery of the play of light on water, viewed from the banks of the Seine at Rouen. Art lovers may follow in the footsteps of these then-revolutionary artists, details from the tourist office (which is the oldest surviving renaissance building in Rouen) at 25 Place de la Cathédrale. The Musée des Beaux Arts (Esplanade Marcel Duchamp) makes for an absorbing visit to view one of France’s premier art collections with works dating from the 15th century to the present day. For those in need of some retail therapy, the pedestrian streets near the cathedral are packed with familiar names as well as individual boutiques; the chocolatiers and macaron makers can make for very slow progress! Eating out in Rouen is a delight with menus to suit all budgets. Regional products are showcased, especially those ‘from the farm’: cheeses, cream, eggs and apples. Renowned cheeses from the region include Camembert, Pont l’Eveque and Neuchatel, while liqueur lovers will appreciate Calvados, the apple brandy which is produced across Normandy. The regional cider is also very popular. There are plenty of restaurants around Place due Vieux Marché and market stalls are a great place to pick up food to enjoy as you wander. Night-owls are well catered for too with a number of clubs and bars staying open until the small hours as well as concerts, cinema and theatres. 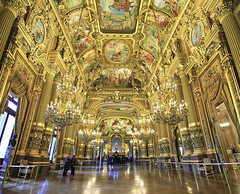 There are also plenty of opportunities to enjoy classical music, opera and ballet in a wide variety of venues. 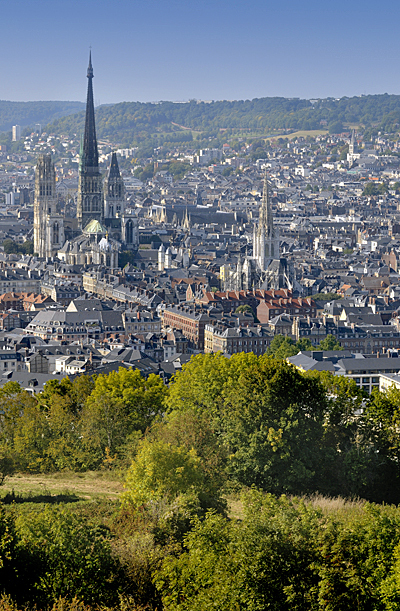 Rouen offers its visitors a richness and diversity of experience which pays homage to its past, while also firmly keeping an eye to the future. 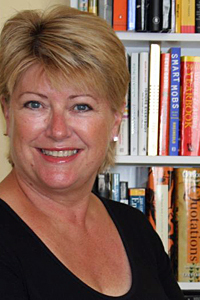 Barbara Hopkins is a freelance writer of features and articles on a wide range of topics, also producing business editorial content across diverse sectors including education, health, lifestyle and beauty. 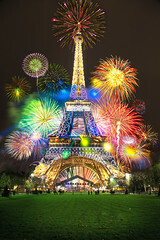 “My passions include independent travel (top of my bucket list would be a trip to Antarctica) — that’s after the lottery win — and closer to home I’m passionate about Paris, with an ongoing urge to leap onboard the next train bound for the City of Light. My French language skills are however a poor second to my husband’s (even the French think he’s French), so I’m trying to catch up. Barbara blog’s at thefeaturewriter, tweets @bhwriting and you can also find her on Google +. 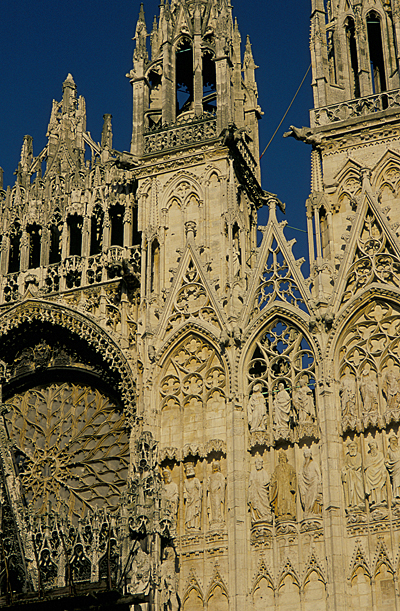 Categories: France, Normandy, Rouen | Tags: france, Joan of Arc, Normandy, Rouen, Seine | Permalink.